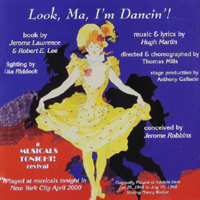 Off-Broadway Concert Cast, 2000 (Original Cast Records) (2 / 5) Musicals Tonight! is a very well-meaning New York company that mounts concert performances of old musicals. It consistently chooses the most interesting titles of all the NYC concert-musical series, and its tickets are far less expensive than any of the others. 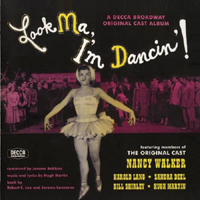 This recording documents the group’s presentation of Look, Ma, I’m Dancin’! — apparently, the first since the original Broadway run. I’m fond of this material and Hugh Martin’s writing in general, but I can’t say that this album is very impressive, even if it does include five songs that are not to be found on the Broadway cast album. Except for Rob Lorey, none of the performers here sings with any distinctive sense of character. — D.W.